With a transmission rate that has been increased by up to 1.4 times (200m range), FCV-1900 ensures excellent target separation and clarity. With a transmission rate that has been increased by up to1.4 times (200m range), FCV-1900 ensures excellent target separation and clarity. 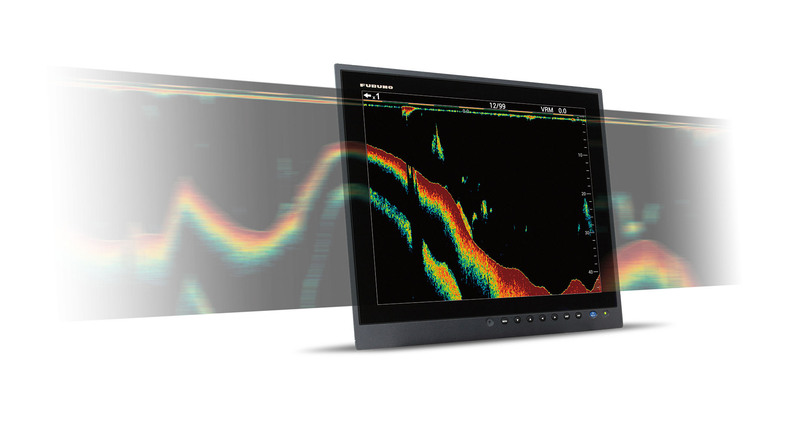 Display up to four different frequencies together in a compact and easy way by connecting a required network fish finder. Since there is no need to install additional displays, this system is especially useful for small vessels. Display two different gain settings simultaneously for increased visibility in changing water conditions and when changing vessel speed. 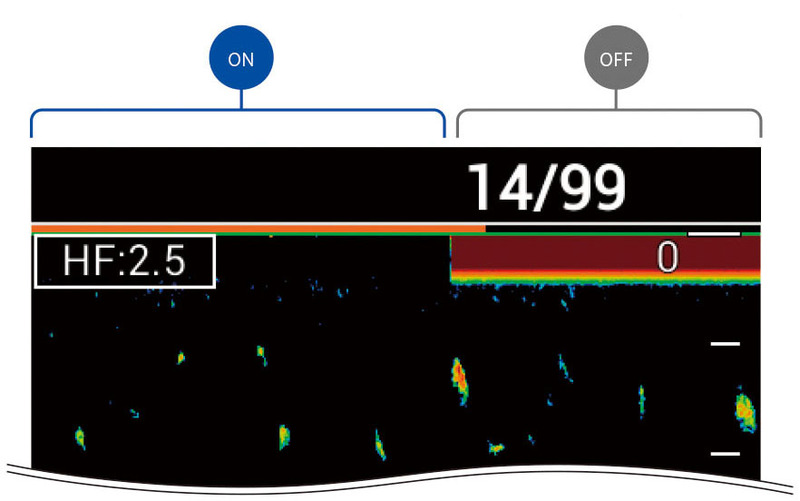 Observe clear echoes from just 3 meters below your vessel with Zero Line Rejection, allowing you to better analyze the water column from near to far. 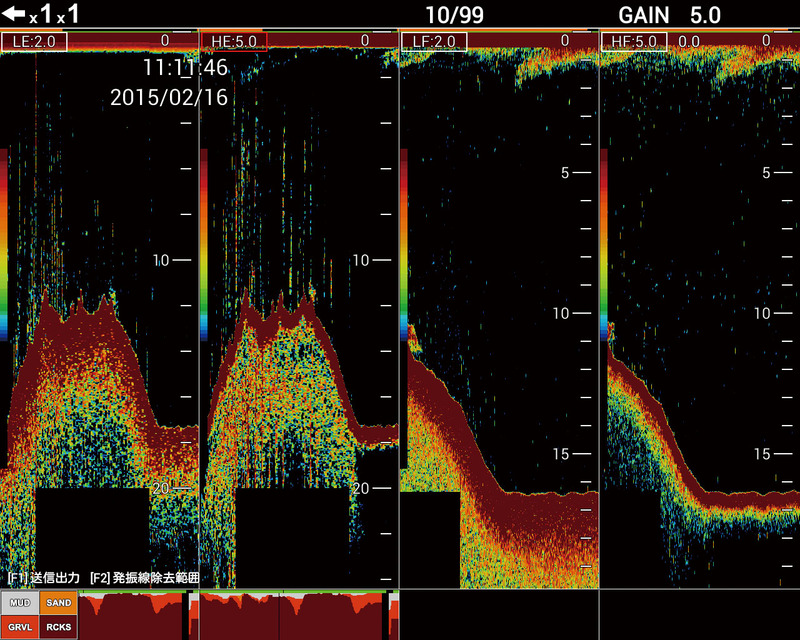 Now you can capture screenshots and video when dropping your net or when searching for fish. Captured screenshots and video display position* and time of capture, for simple review. 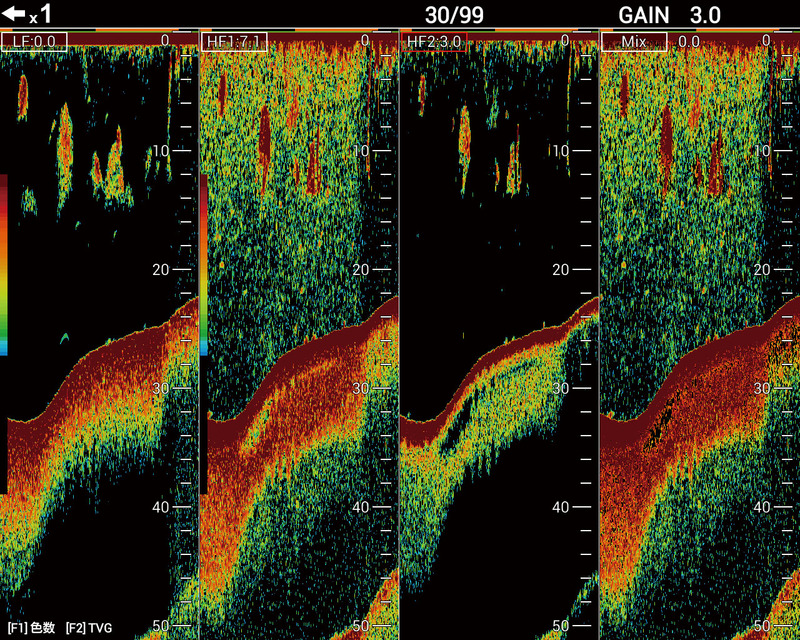 Improve your fishing by comparing fish finder echoes with your resulting catches. The control unit features a water resistant touch pad that works even when wearing rubber gloves. You can use the touch pad for setting up VRM and TLL in an instant. With the press of a button you can activate the scroll back function to instantly review past echoes. Up to two previous screens can be viewed. Retrofitting is made easy. With FFS technology, you can easily replace an FCV-1200L processor unit while utilizing the same transducer for convenient installation. 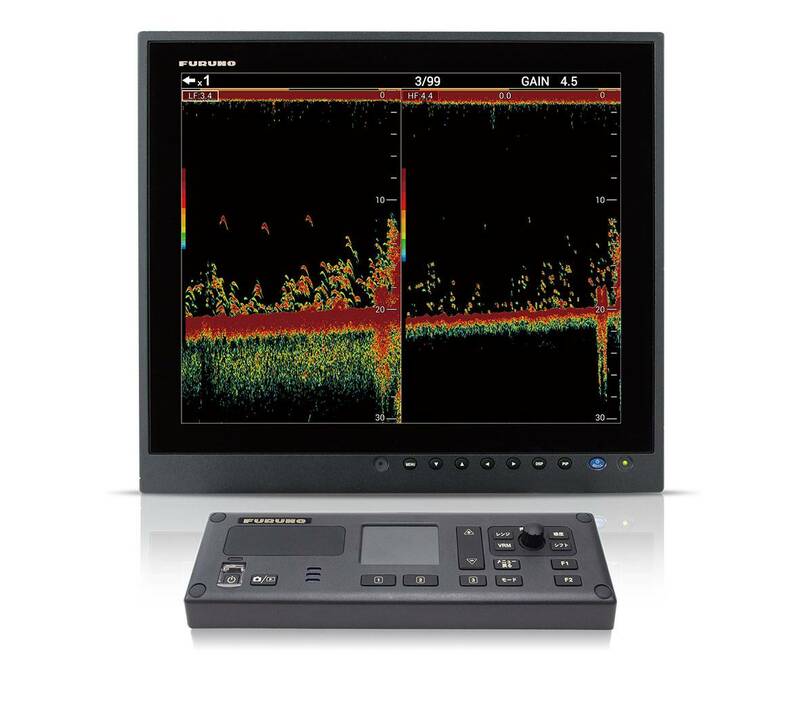 By purchasing and installing a software license, you can upgrade your FCV-1900 model to a FCV-1900B Hi-Res TruEcho CHIRP™ Fish Finder* or a FCV-1900G TruEcho CHIRP™ with unique fish size indicator*. FCV-1900G offers a precise fish size histogram for accurate estimation of fish size and density of schools of fish. With fish size histogram, targets can be properly evaluated, spelling increased efficiency and profitability. For further details, please contact your local FURUNO national distributor. *TruEcho CHIRP™ compatible transducer required.